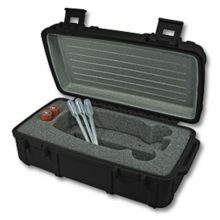 The below accessories are available at a reduced cost with the purchase of a Misco Refractometer. 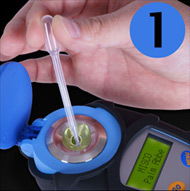 This refractometer’s digital read-out is easy to read. 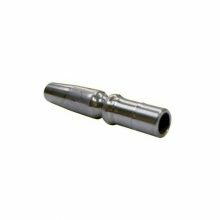 It requires a smaller sample size than a hydrometer, and the refractometer eliminates errors related to temperature compensation. 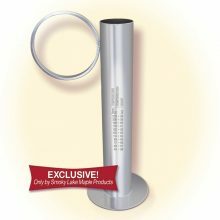 It is easily cleaned, and reduces the time that it takes to measure maple sap and maple syrup. 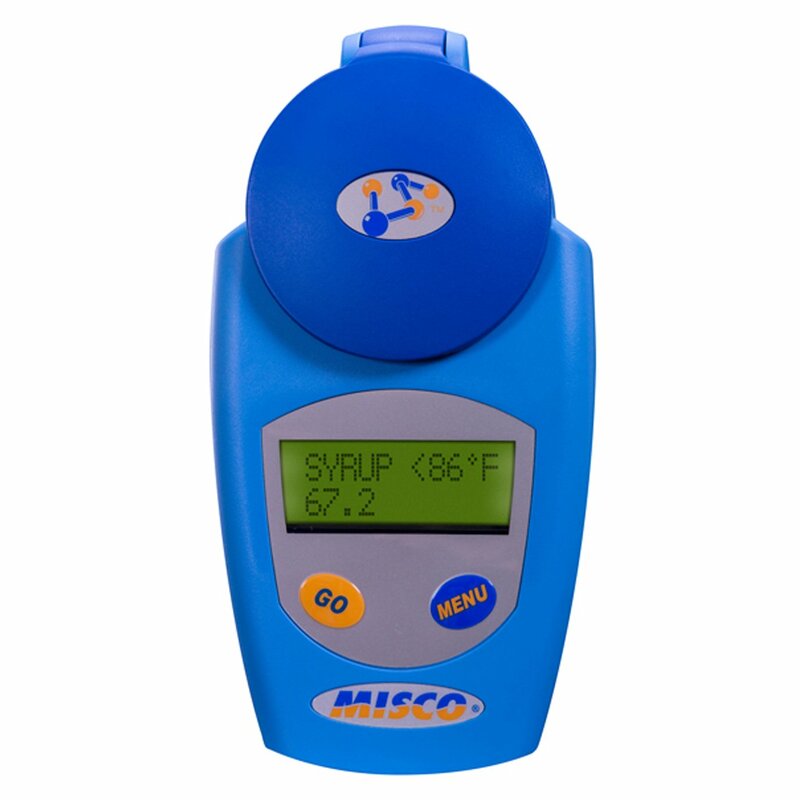 The eMaple Digital Refractometer from MISCO has a range from 0 to 85 Brix and was designed specifically for the maple syrup industry. 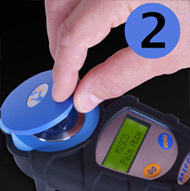 The eMaple refractometer features two scales. 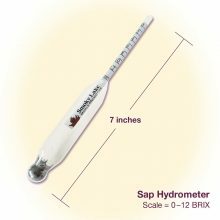 The two scales allow you to take measurements at any time regardless of whether the sap or syrup is hot or cold. 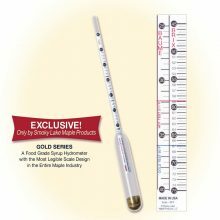 The large dual-line LCD display is easily read, even in dim light, and removes the subjectivity associated with interpreting where a boundary line crosses tiny scale divisions. The user interface consists of two buttons, one to take readings and the other to step through various menu options. Place one or two drops of maple syrup or maple sap, on the refractometer measuring surface. Wait 30 to 60 seconds and then press the GO button. The temperature-compensated reading will appear on the large, easy-to-read, 24-character text display. 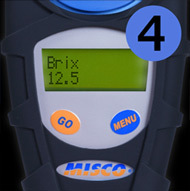 Be the first to review “Misco Refractometer” Click here to cancel reply.